The Galapagos Islands are teeming with unique and beautiful wildlife, from mammals to birds to reptiles and more. Here’s a list of some of the animal species to look out for on your next trip to the Galapagos. These are one of the more common animals that can be found on the islands, either splashing and diving through the ocean or basking on sandy beach shores. Sea lions are very entertaining to watch, as they are generally of a rather playful nature. Despite this, they are also rather territorial and heavily protected, so it is best to give them their space and observe at a distance. Galapagos land iguanas have a high population and can be found on most of the islands. They spend most of their time absorbing sunshine on volcanic rocks or feeding on the prickly-pear cactus, which makes up 80% of its diet. 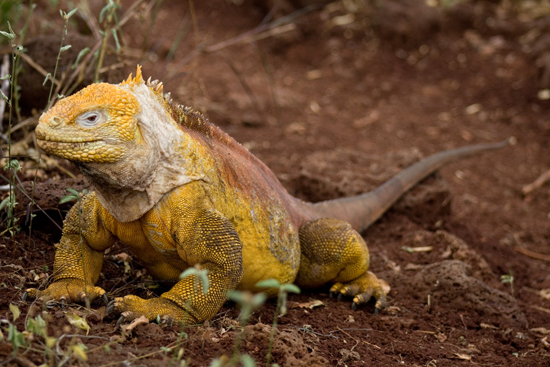 Land iguanas can group up to 25 lbs. and live for 50 to 60 years. 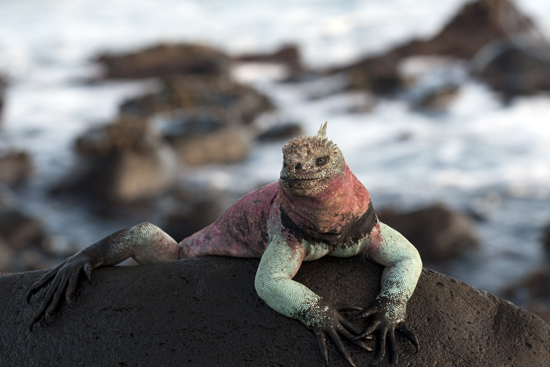 The Galapagos marine iguana is the only marine lizard in the world and is only found in the Galapagos Islands. They can spend up to an hour in the water, where they feed on marine algae. Their size ranges anywhere from 2 to 2 lbs., depending on which island they live on and how much food is available. Although there are as many as 300,000 marine iguanas throughout the archipelago, they are considered a threatened species. This is species of bird a sight to behold thanks to its red gular sac, which it dramatically inflates to attract a mate. 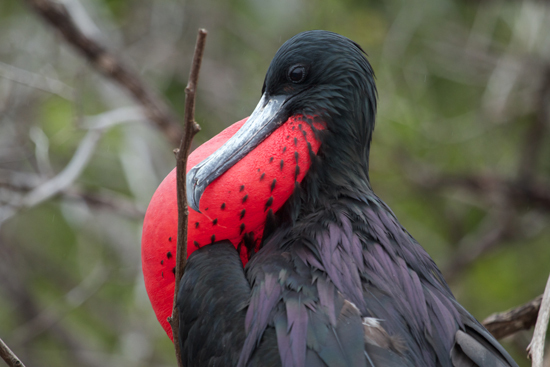 The Magnificent frigatebird is an endemic subspecies of the Galapagos Islands. They feed on fish taken from the ocean’s surface during flight, and sometimes take part in kleptoparasitism, meaning they harass other birds and force them to give up their regurgitated food. 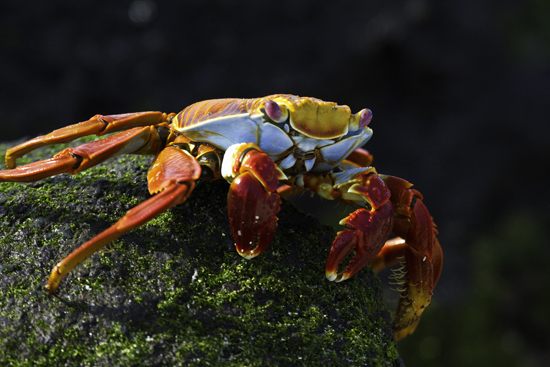 Although this is one of the most common crabs found along the western coast of the Americas (Mexico, Central America, South America and the Galapagos), its bright red, brown and orange colors make it a fascinating sight. They get their name from their incredible agility and speed; in addition, when they feed on the shore, they remain steadfastly planted as powerful waves crash over them, despite their tiny stature. These tiny lizards can group up to a foot long, but usually stay around 5 to 6 inches. 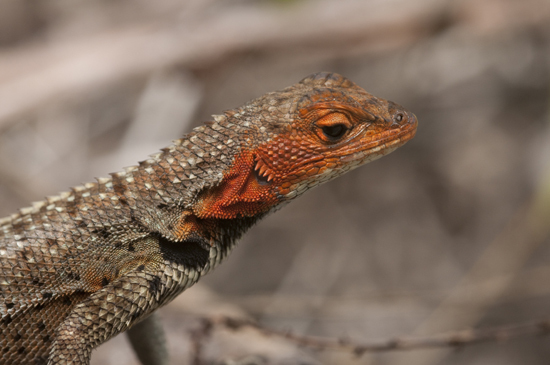 The color and pattern on Lava Lizards varies greatly depending on which island they live on. An interesting feature of these tiny creatures is that they can change color and camouflage themselves to guard against predators. These type of bird is distinct due to its brightly colored feet. 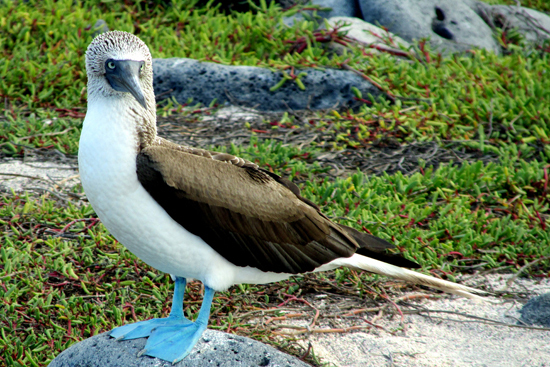 The Blue-footed Booby actually displays his feet in an elaborate mating ritual by lifting them up and down in a sort of strut in front of the female. Recent research has shown that the Booby population of the Galapagos is in slow decline. There are 17 species of penguins in the world, and the Galapagos penguins are the second-smallest. They are also the only species of penguin that lives north of the equator. They have an endangered species status, as there are less than 2,000 of them on the islands. 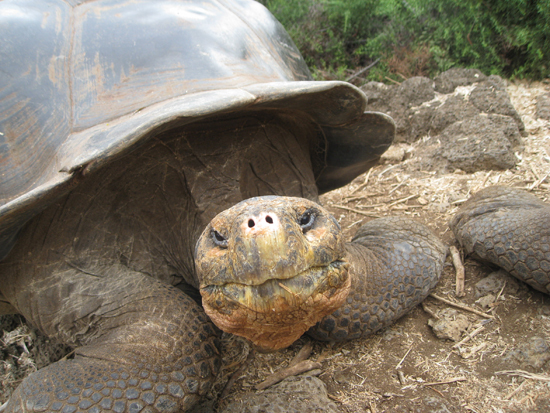 This is perhaps the most recognizable animal on the Galapagos Islands, due to its name and immense size. Their life expectancy is thought to be more than 100 years, which means it is one of the longest-living species in the world. They are also the largest species of tortoise, weighing as much as 800 lbs. and growing to up to 6 feet long. Recovery efforts have helped to increase the giant tortoise population, although they are still listed as vulnerable to extinction.